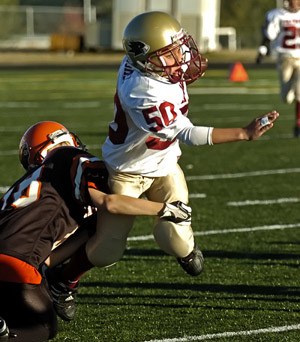 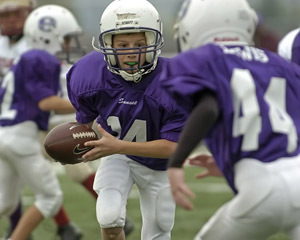 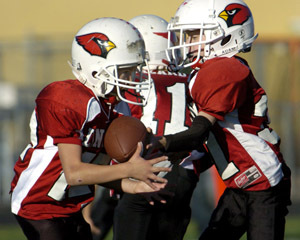 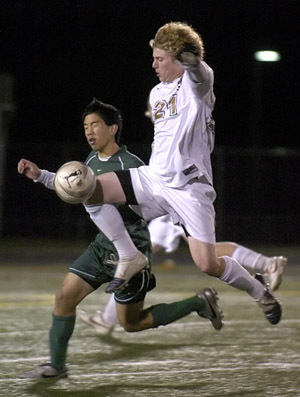 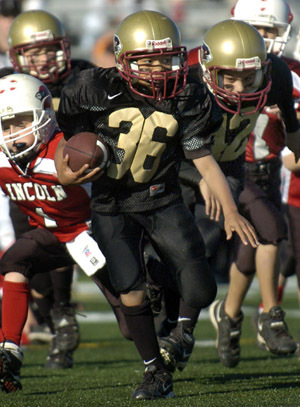 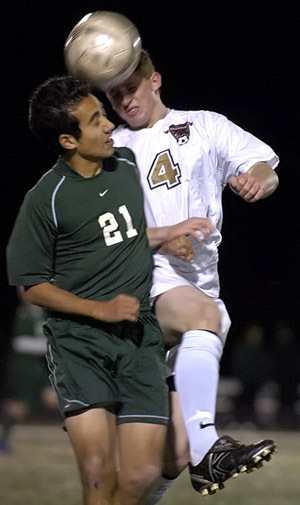 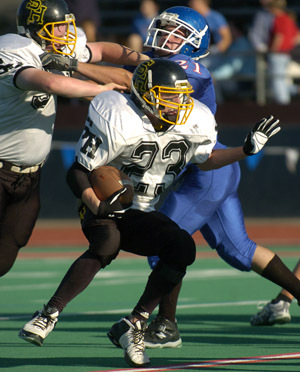 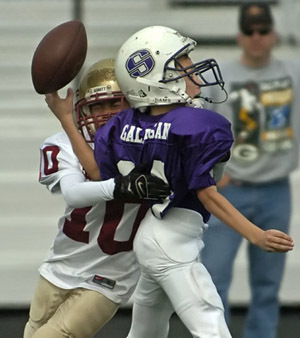 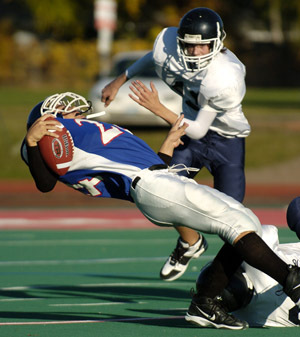 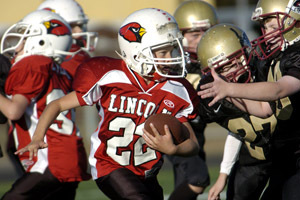 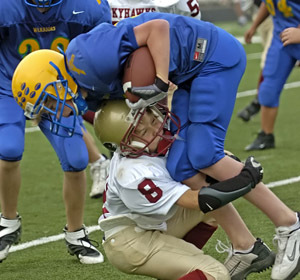 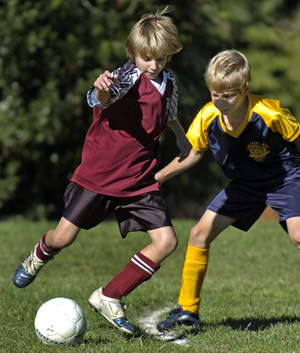 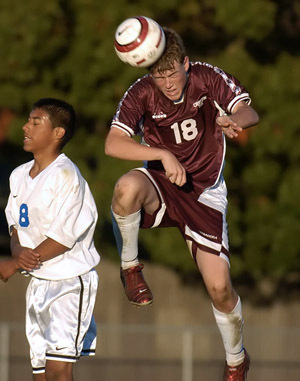 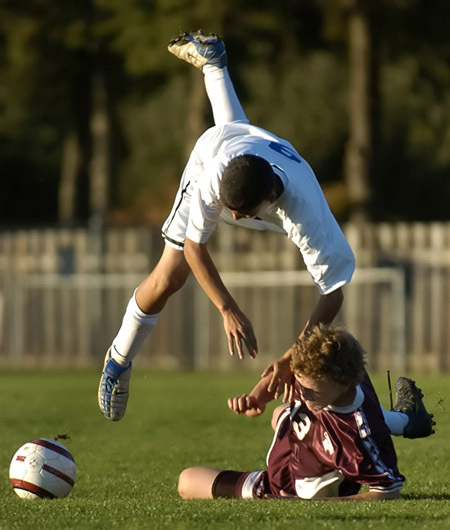 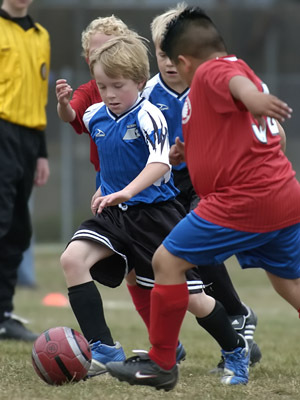 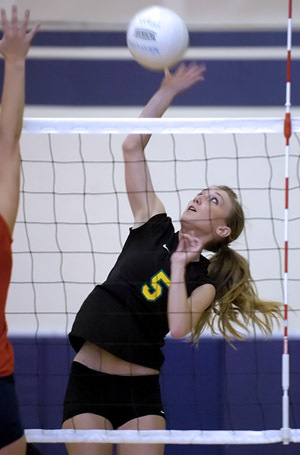 Photos from the first weeks of the high school and youth Fall 2006 seasons. 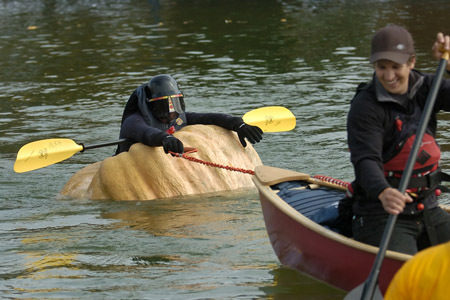 Also included are photos of the City of Tualatin Giant Pumpkin Regatta. 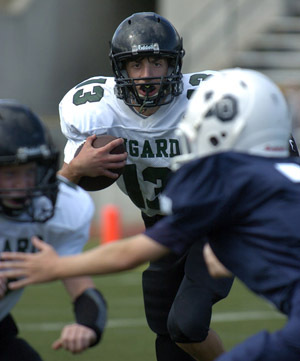 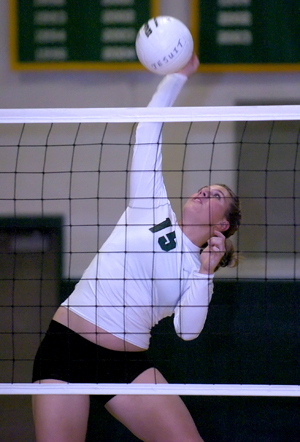 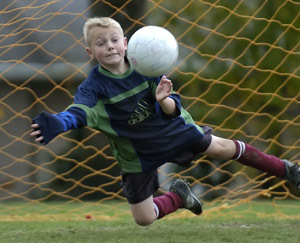 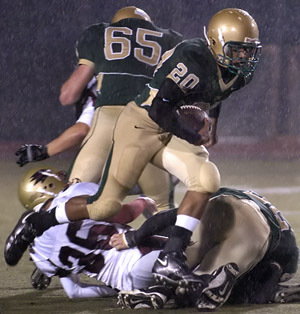 Oregon Sports Photos Online Sales - Reprints of photos on this page are available through the Oregon Sports Photos online sales gallery. 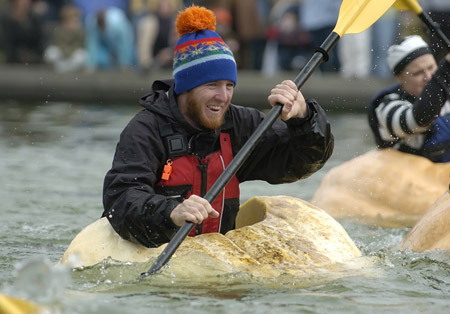 Take giant pumpkins ranging between 400 and 1,100 pounds, carve out a cockpit to fit an average sized adult, then jump in and paddle like hell. 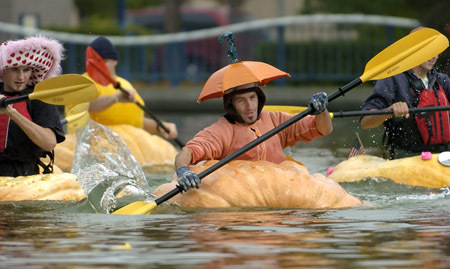 This isn't fantasy, it's the Giant Pumpkin Regatta held at the Lake of the Commons in Tualatin, Oregon. 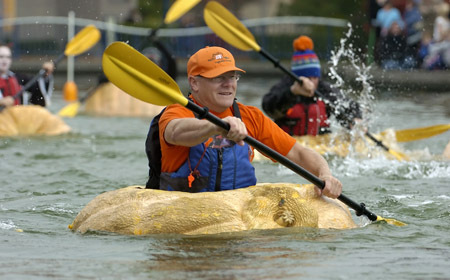 In celebration of the Fall harvest, members of the Pacific Giant Vegetable Growers Association donate giant pumpkins for the community event and host one of most unique watersport competitions in the nation. 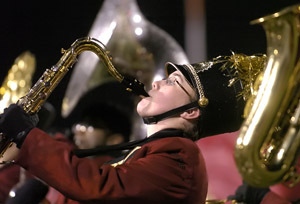 In addition to the Regatta, this update offers up a mix of football, soccer, volleyball and a salute to the band.